What’s your favourite vegetable? Mine for SURE is bhindi also called okra or Ladies Finger in English.Today’s recipe is Kurkure Bhindi Fry. I can eat okra everyday..In fact I almost do.I make it in some form or the other atleast twice a week.This deep fried version is a perfect vegetarian side for parties and also days when you don’t mind being a little indulgent. 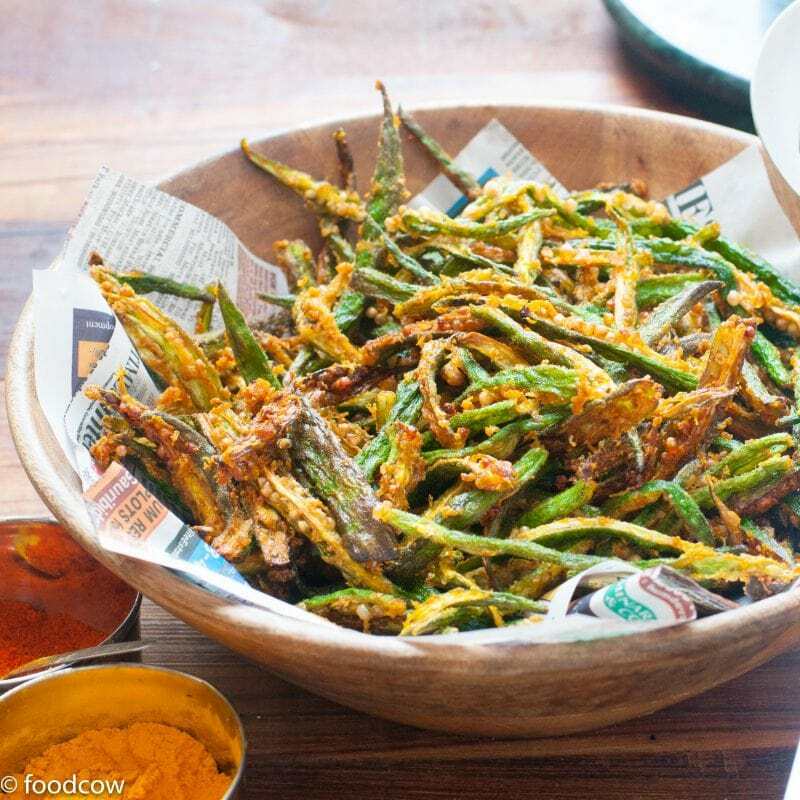 Kurkure Bhindi Fry is deep fried ladies finger which has been marinated in a spice mix of chickpea flour- besan and simple indian spices. I think I could eat this everyday with yellow dal and rice.This is indulgent comfort food for me! First, Wash and dry the ladies finger.Slice the ladies finger lengthwise into long sticks.Mix it with the seasoning made of besan,salt,coriander powder,Chilli powder, dry mango powder & turmeric.Set aside for 15 minutes so that the spices are absorbed in the okra.Deep fry in hot oil in batches and serve hot! Mix the besan,dhaniya powder, chilli powder,turmeric powder, mango powder and salt in a bowl.Whisk together. Add it to the bhindi slices and set aside for 15 minutes so that the okra absorbs all the spices and the flour. Heat the oil.Test with one ladies finger and check. Deep fry the ladies finger in hot oil in batches and serve immediately.